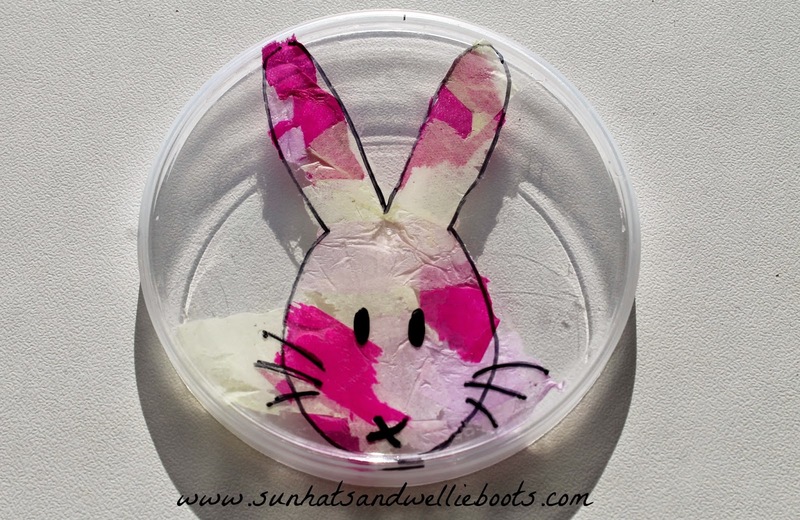 Turn some old plastic lids into colourful stained glass style art. 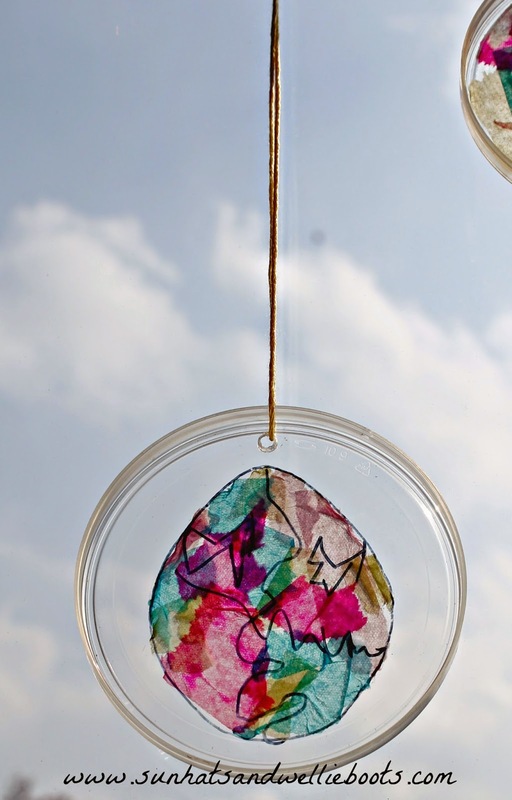 These make perfect window decorations for Easter & are so simple & frugal to make. 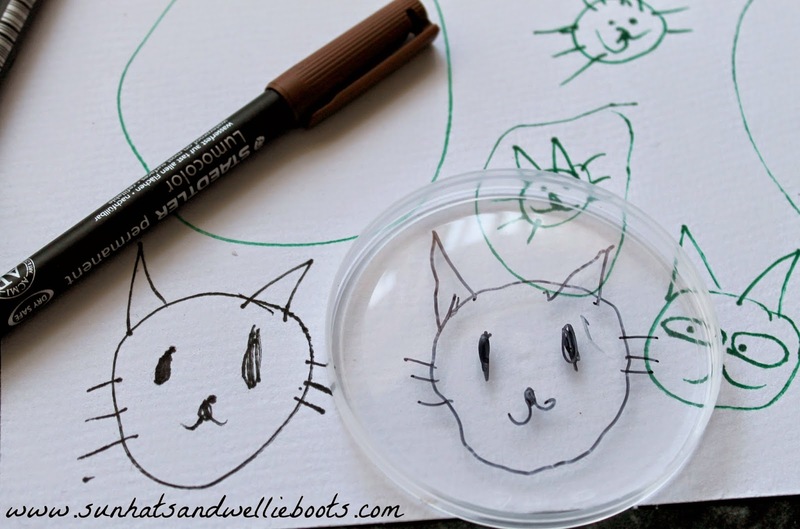 To make them we used a selection of clear plastic food lids (Pringles lids are ideal), coloured tissue paper, a fine marker pen & glue stick. 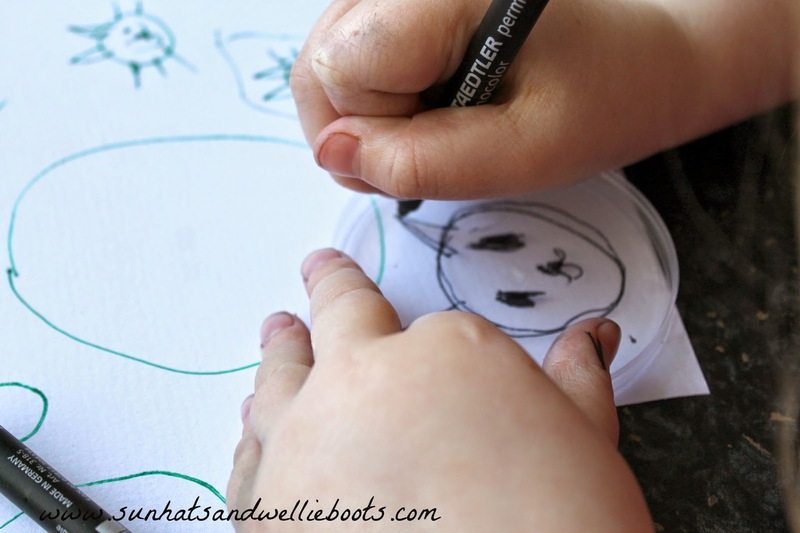 Before creating a design onto the lid Minnie drew a few Easter inspired images on paper & then chose which she preferred. 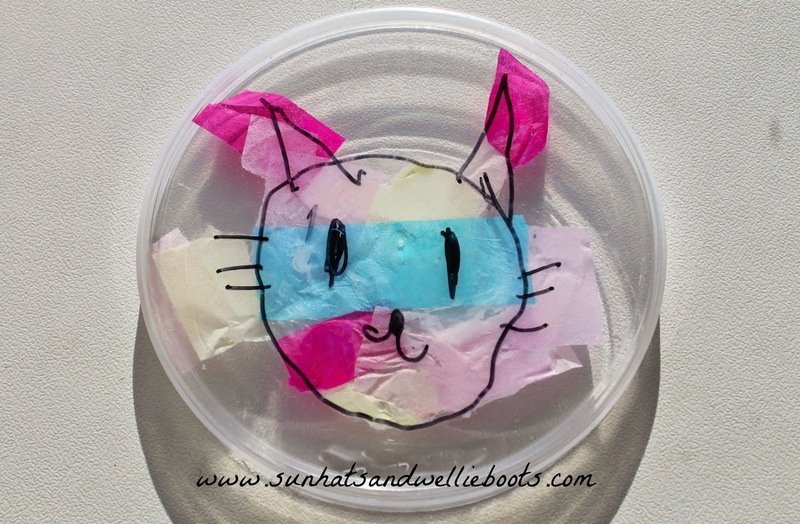 We placed the lid over the paper & she used the permanent marker to trace her design onto the plastic. She then flipped the lid over & covered it with glue. I love this little Easter Bunny & it's cute expression. 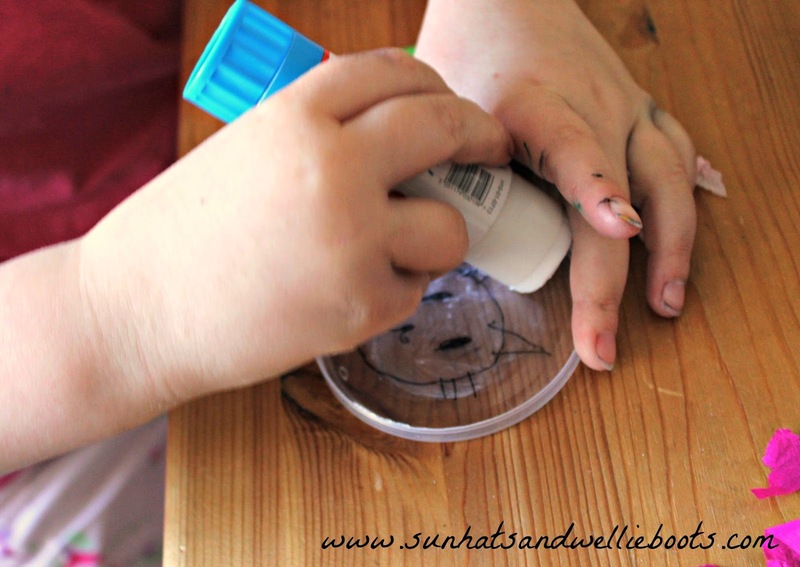 After leaving to dry we made a small hole in the top of each lid (using a ballpoint pen & plasticine) & hung up with a length of thread. These are beautiful when lit by the sun, & brighten any dull day. 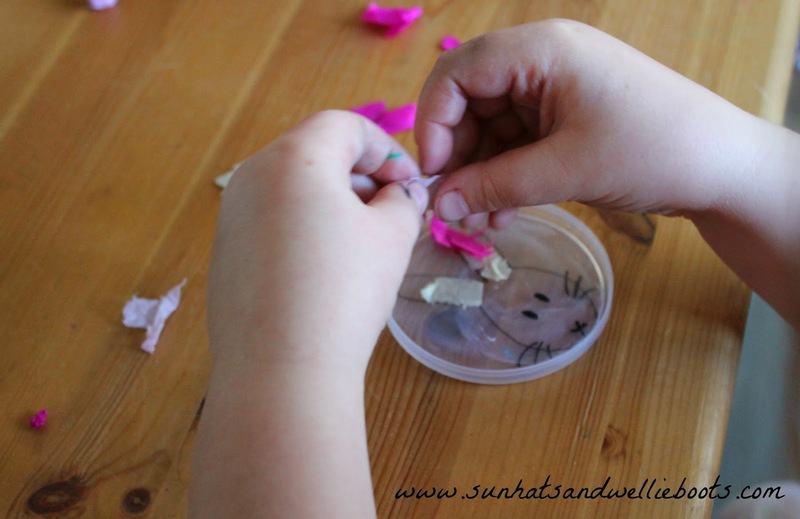 A great activity to explore design & colour, as well as fine motor skills.